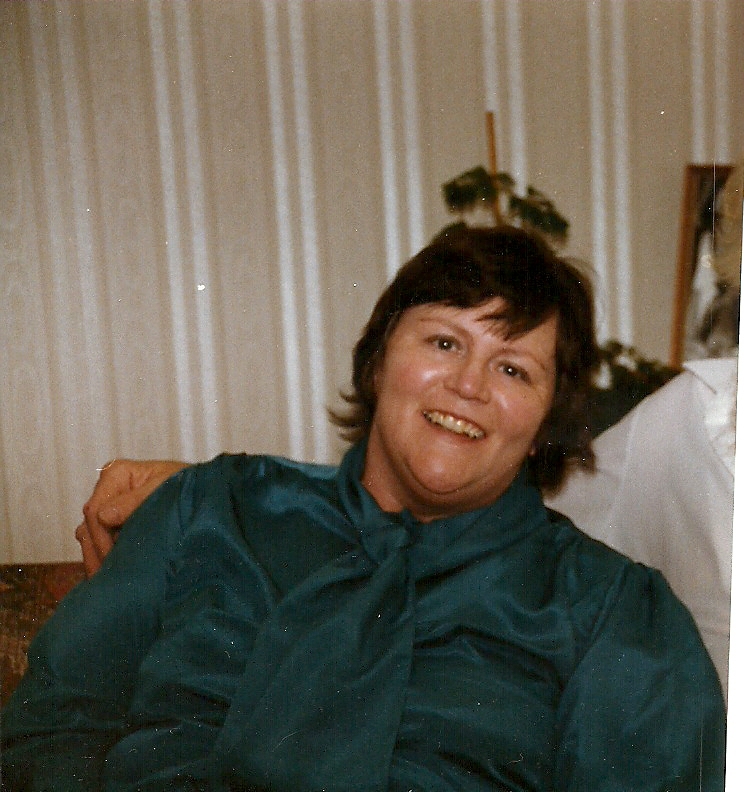 Born 18th May 1947 at 4 Larkhill Road Durrington. 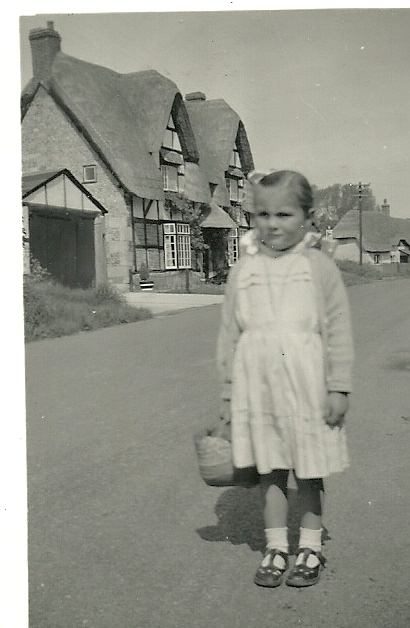 I was born at 4 Larkhill Road, Durrington on 18 May 1947. South Wilts. Grammar School for Girls, Salisbury. 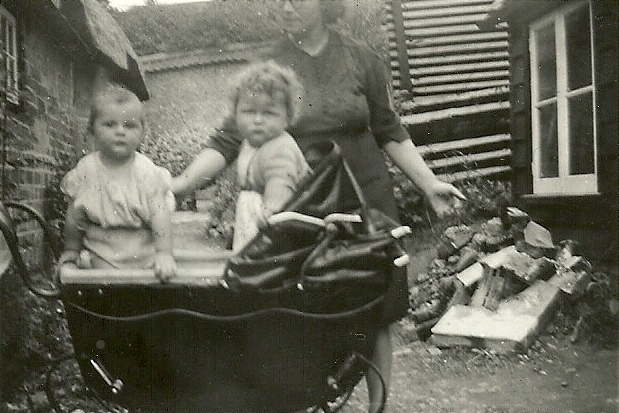 The family moved ‘back’ to Figheldean in the late 50s or early 60s. 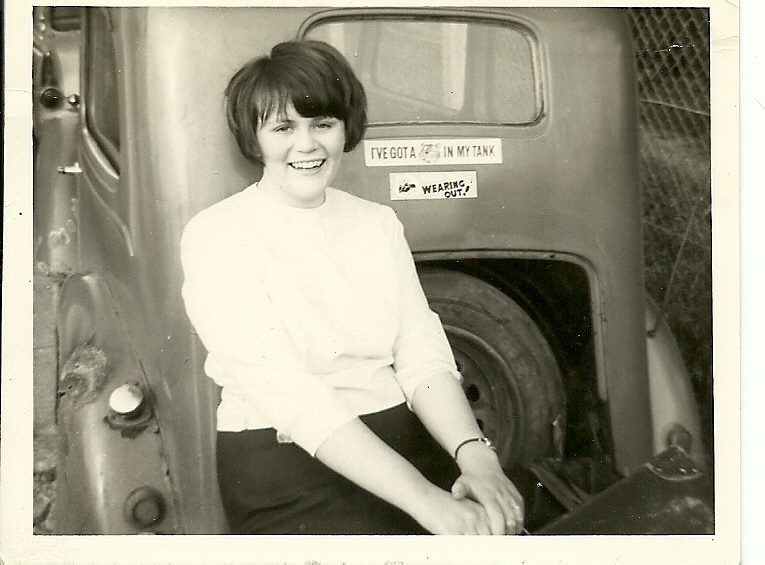 My first job was with the Salisbury Journal 1963 – 1965. I am grateful for this in many ways, not least that I lived under the same roof as Colin for the last seven months of his life. He died the same day I was granted a divorce from Ian Heritage. I worked for MOD ( Army ) at Netheravon Airfield from 1968 – 1974, during which time I was allocated an MOD house in Netheravon. After another try at marriage in 1974 ( together exactly 13 weeks!) I eventually got back to Figheldean a few years later, and lived in Oak Lane. I picked up useful employment in Salisbury Inland Revenue for a couple of years, and fortunately leaving that job to be an at-home Mum again coincided with Uncle Jesse’s final illness, and I am so grateful he spent some days back in Figheldean . I worked part-time for a while in Figheldean Stores and Post Office, but moved in to Salisbury in 1986. During my time back in the village I became the local correspondent reporting on village happenings to the Salisbury Journal. After attending college on a ‘Care in the Community’ type training course, I went on to do hands-on care work, mainly in clients’ homes, but also in Nursing Homes. It was whilst in one of these that I became disillusioned about the level of ‘care’ we were able to deliver, and returned to the Civil Service briefly, in the Unemployment Benefit Office. Then in 1989 I reckoned maybe I was mature enough to be married and had another go at it! I also stumbled on my ultimate career that combined a bit of administration with a bit of care – that of Warden in a sheltered housing scheme. By the time I left this type of work, both living in and peripatetic, I was a Scheme Manager and far more detached from residents. That type of work led me to Leicester after separating from third spouse, and ultimately to Yeovil, Somerset. I was obliged to take early retirement in 2001, and although quite content in the bungalow I was allocated, my dog was noise phobic, which was not ideal as we were very close to RNAS Yeovilton! Towards the end of 2002 I was able to move on a mutual exchange to my present home in Upper Clatford – where our grandmother was born – as I reckoned it was as close to ‘home’ in Figheldean as I was likely to get. It also meant I have lived close to Sue and Brian in recent years, and they have been a great source of help and support. I have also been enlisted into their pub quiz team. Candy – the dog that I moved home for just after redecorating and carpeting my retirement home – died at Christmas 2009. I registered as a foster carer for dogs via the Cinnamon Trust, and was content in having short-term canine companions for a year or so before re-homing Poppy in January 2011. It seems I am still no good at relationships, and although I have had a friend to accompany me to theatres and generally hang around with for the last couple of years, the friendship without commitment seems to suit us both. Apart from my evening at the pub quiz and the odd theatre trip, my time is fairly occupied with involvement in the local Housing Association that owns my home. At present they are working at restructuring, and amalgamating into one Group with other organisations, and I may possibly aim for a remunerated customer post rather than continue as a volunteer, but who knows?